Enquisite Search Analytics adds a fully automated PPC refund submission process to its PPC Assurance product. Online ad networks such as Google and Yahoo! use automation to present companies advertising to users around the world. Auditing these massive networks has been almost impossible, until PPC Assurance was released. Now you can automatically file claims for mistakes and errors which cost you money. Search Analytics market leader Enquisite has added an automated refund tab to its paid-search analysis software "PPC Assurance." This one-click PPC audit and refund claim filing system is unique in the paid search marketing and click fraud analysis marketplace, and helps cement the company's position of leadership in the field of search marketing analytics. With the addition of the automated claim filing feature, the PPC Assurance product extends search marketers campaign management capabilities to audit and verify PPC campaigns, and becomes the only fully automated paid search auditing service on the market. Search ad-networks are willing to admit that their systems can make mistakes and will grant advertisers refunds if their errors can be properly documented and detailed. Compiling such data using pre-existing analytics applications was virtually impossible. PPC Assurance collects the data needed by the search networks to verify complaints and delivers it to them at the click of a button. "We're pleased to offer search marketers and advertisers the opportunity to monitor their campaigns properly, and get refunds for improper ad displays where warranted," says Enquisite CEO Richard Zwicky. "The value of knowing whether or not a PPC campaign is executing properly, and being able to report on it simply and easily is invaluable." Zwicky continues, "Combining peace of mind with the ability for advertisers to go beyond passive reporting, and actively recoup money from improper ad displays is the next step in proper campaign management practices. Using Enquisite's PPC Assurance service can save larger advertisers tens of thousands of dollars each year simply on the basis of automating the verification and audit process. The additional value proposition of eliminating charges stemming from invalid click activity drives your campaign ROI up immeasurably." Collecting and reporting PPC (pay-per-click) campaign errors in a format which is easy for anyone to understand, and yet still meets the requirements of the major search engines is part of what sets PPC Assurance apart. These campaign errors can occur for any number of reasons, some of which can slip past the ad-networks as they are difficult to detect. PPC Assurance employs a wide array of algorithmic and heuristic tests to gauge the validity of each click recorded against your account. Keeping your PPC campaign in order can save your business a good deal of money, both in management costs, and in recovering misspent money. Google, Yahoo, and other ad networks use automation to ensure your advertising displays to potential customers. Verifying that ads were displayed correctly however was a largely manual audit process. 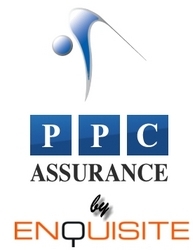 PPC Assurance uses sophisticated algorithms to verify in real-time the ad networks' systems, monitor PPC campaign activity that falls outside your paid search campaign parameters, and documents and presents irrefutable information on campaign violations to the ad networks to support customer's refund claim requests. Keeping their PPC campaign in order can save business a good deal of money, both in management costs, and in recovering misspent ad-spend. See how PPC Assurance can detect, document and report invalid click activity and delete invalid click charges from PPC accounts. The Refund Tab in PPC Assurance is the newest feature to be built into the Enquisite search analytics suite of reports.